To run a contact center well, it needs to be run by the numbers. While many contact centers collect data about their operations, the most successful ones use that data effectively to keep up with customer expectations and make necessary improvements. When you continually measure the data coming out of your contact center, you see what's happening in real time and know where your immediate focus needs to be. With the right tools, metrics, and informed interpretation, you have the power to accelerate growth by providing a best-in-class customer experience. This is why WFO is a critical component to a successful contact center. WFO software provides a 360-degree view of every conversation in the contact center so companies can provide agents with valuable feedback, knowledge, and skills. WFO helps contact centers protect their brand by mitigating risk, addressing compliance, and simplifying dispute resolution. It verifies conversations for compliance, objection handling, and upselling skills while freeing up time for higher value tasks such as agent coaching. WFO helps contact centers shorten the time it takes to onboard agents, track their progress, and provide them with relevant feedback and personalized coaching. This helps create a more confident workforce and leads to greater agent retention. WFO helps contact centers see a unified view of the customer journey. This helps companies discover opportunities to improve their products, processes, and agent skills in customer conversations. WFO software provides contact centers with valuable insights to track key performance indicators (KPIs) from a high level down to individual conversations. These insights make it easy to find the root causes behind KPI changes and trends and make data-driven improvements as needed. WFO technology ultimately helps contact centers measure the right metrics and optimize their performance. 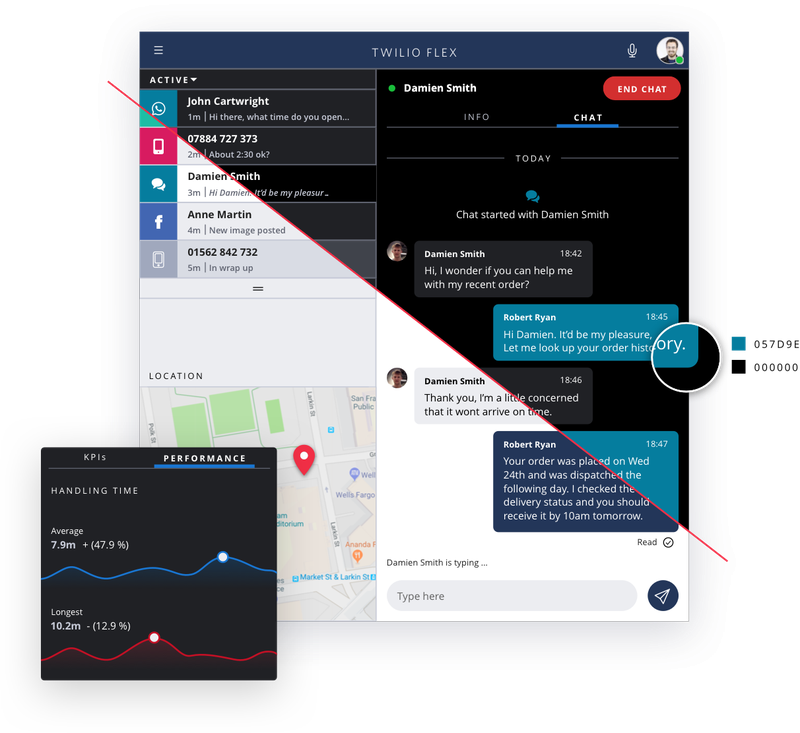 When Twilio developed Flex—our next-generation programmable contact center platform—we knew that a growing number of businesses were looking for WFO capabilities in their contact centers. To that end, we included our best-practices WFO suite in the platform. 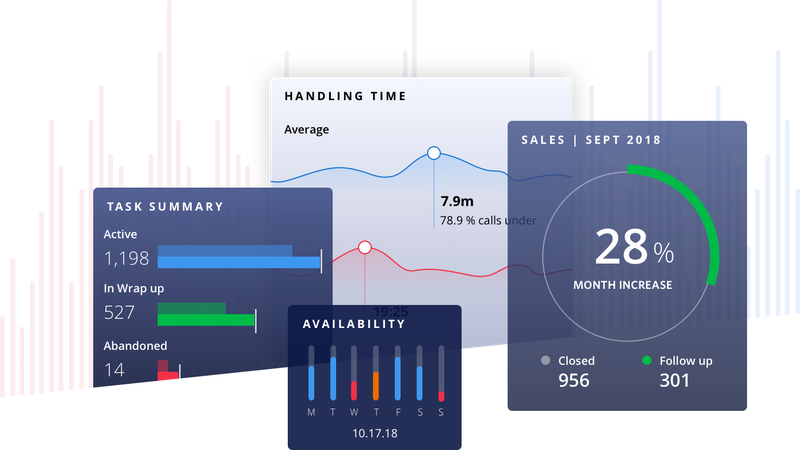 Flex users can use these WFO tools to maximize their contact center performance right away, with the freedom to customize dashboards, metrics, and KPIs to fit their business’s needs. Note: While Flex doesn’t provide WFM capabilities like forecasting and scheduling, we can blend critical WFM KPIs with the rest of the data in Flex. Note: While Flex isn’t a learning management system (LMS) vendor, we can blend data from an LMS system, such as test scores, with the rest of the data in Flex. Additionally, Flex supports quick exports of calls for training/eLearning purposes (like best practice calls, how to handle objections, etc.). *Note: historical refers to anything older than one hour.